Happy November! 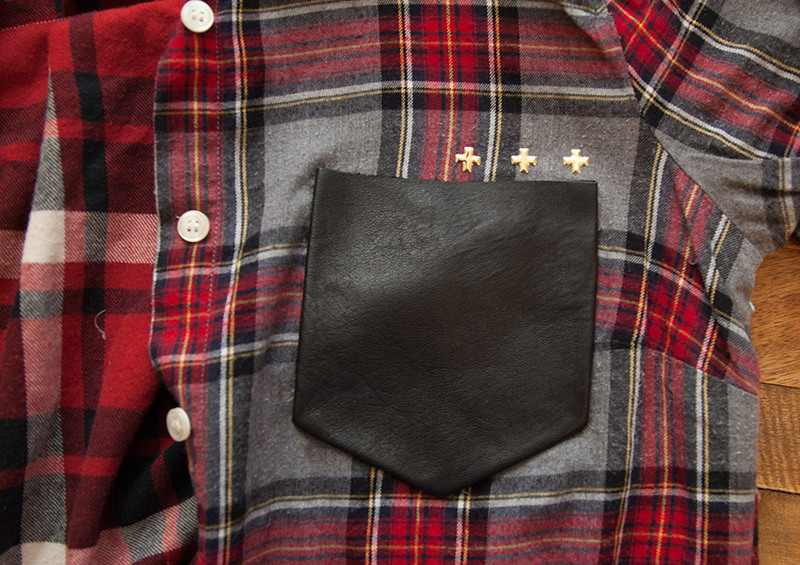 It’s time to get cozy with this Patched Plaid Shirt DIY. 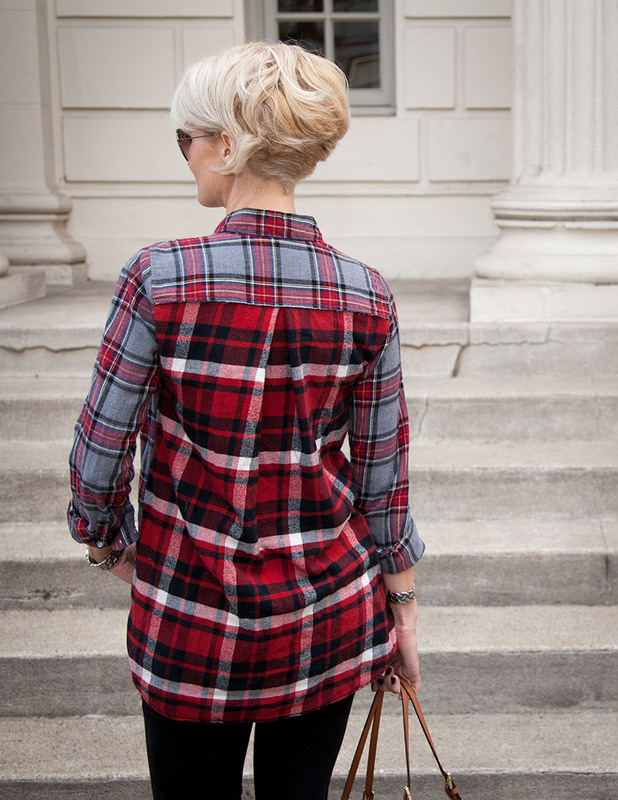 It’s a fun way to mix up your plaids and stay cozy and chic at the same time! Let’s get started! 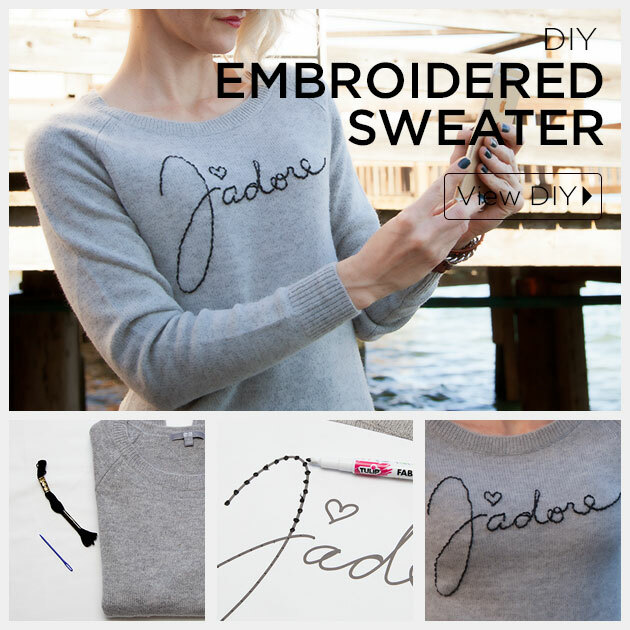 Text is a hot trend in fashion right now, create your own with a more Parisian feel with this DIY Embroidered Sweater. 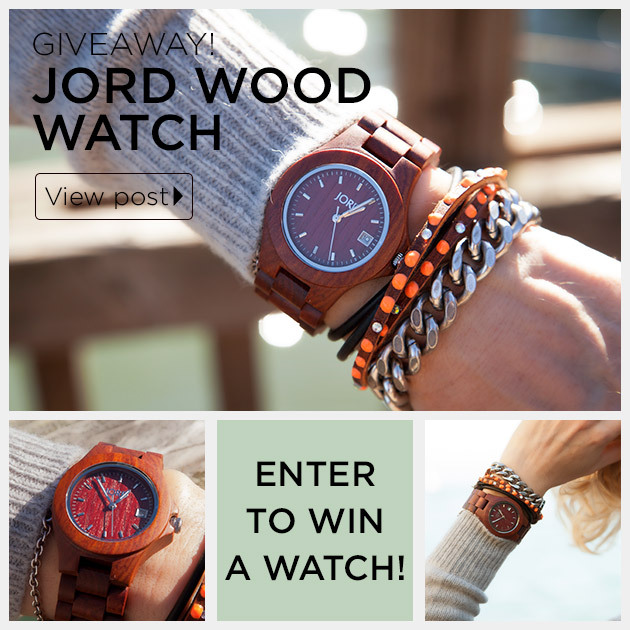 Just in time to start the holiday season we’re reviewing this beautiful watch by Jord Wood Watches and one lucky reader will win one of their own! 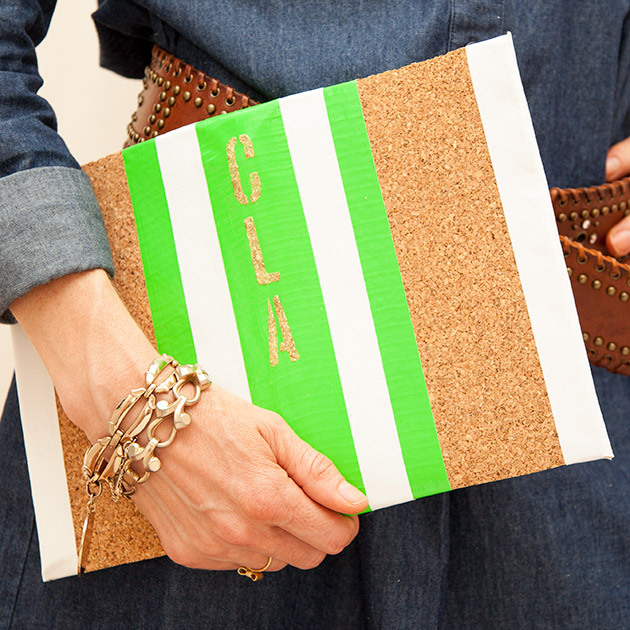 Read more and enter to win! Can you believe it’s November already? 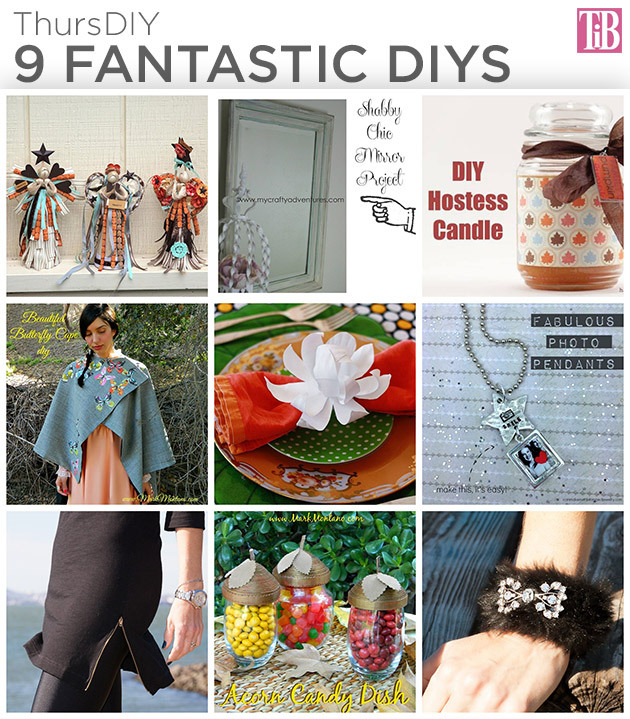 This week for ThursDIY I’m sharing 9 Fantastic DIYS for fall, that are sure to inspire your wardrobe and party planning for this fall. 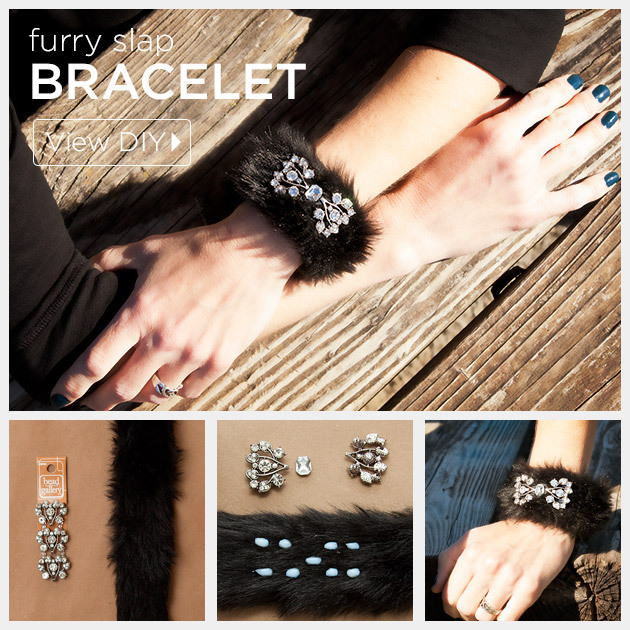 Mix faux fur and rhinestones and you’ve got one fab combination, this Furry Slap Bracelet DIY with Rhinestones is the ultimate fall accessory! 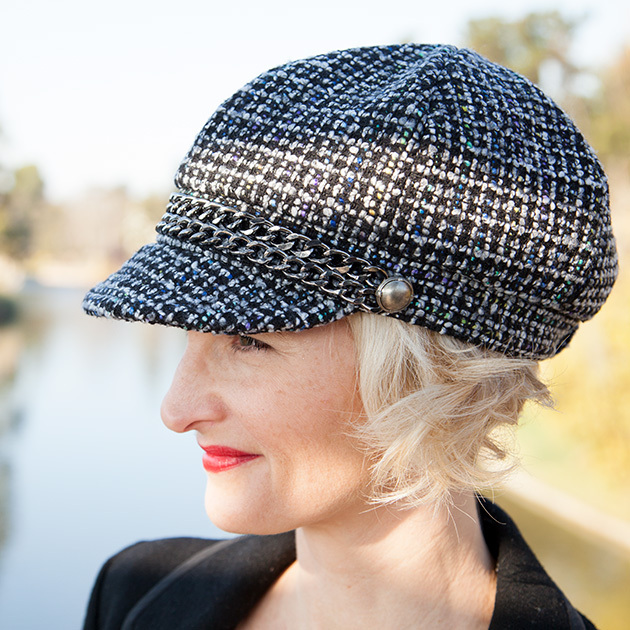 How to make your hat rock.